There are few better cities than Los Angeles to act as a case study for the trend toward sustainability. You can see the intentions to be "greener" everywhere—from the recent movement to reduce plastic straw usage, to the plastic bag charge that's hit almost every corner of the country. But, maybe the best lens to use is the new buildings that are populating the city bearing LEED certifications, or that are using as many synonyms for "environmentally conscious" as possible. 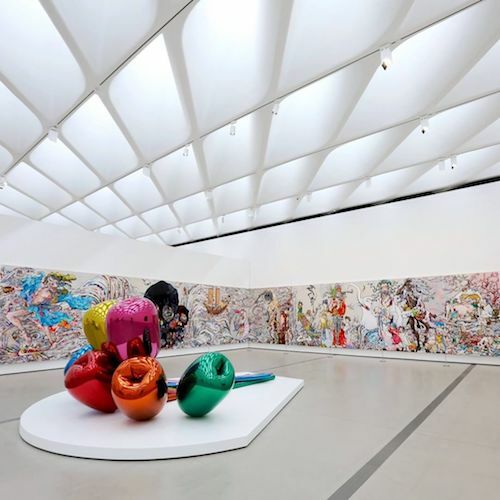 "Architects and designers have a responsibility to create structures that are both good for the environment and its occupants, 100%," Julia Ragragio Ruiz, a sustainability specialist at global design firm Gensler's Los Angeles office, tells Citizine. She's currently managing over 25 LEED projects and specializes in implementing sustainability policies in the built environment. "The list is extensive when we talk about what makes a building 'green' or 'LEED-Certified,'" she continues. It "can include sustainable operational practices, to bringing nature elements indoors to improve occupant wellbeing. LEED-Certified or LEED Certification is a well-known third-party certification for sustainable design and construction. It measures the building’s performance, from indoor environmental quality to cost-efficient strategies for energy and water conservation." "Green" and "LEED Certified" are often used in the same context, but are in fact markers of two different things. "Achieving LEED Certification means that the building underwent an intensive review process," Ruiz notes. "In some US states, local laws trigger mandatory LEED Certification for buildings, but California has CALGreen. 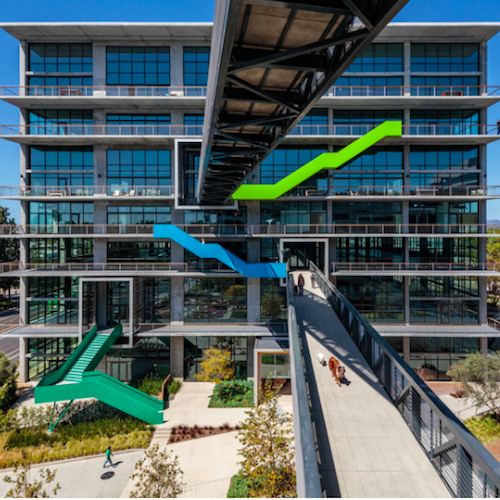 With CALGreen, California’s mandatory green building code, the state is paving the way for the sustainable design to be incorporated into all projects." Biophilic design is one of the strategies both Gensler and Ruiz use when approaching projects. Based on the biophilia theory, which claims that humans have an innate tendency to pursue connection with other forms of life, biophilic design brings nature into the built environment. "This is becoming very popular as occupants are seeing its health benefits, like how indoor plants boost the mood, or how natural light indoors promotes wellness (which also lessens artificial lighting and associated energy loads)," Ruiz adds. "A good example of this is the workplace. Business owners are starting to see that nature elements, whether it be a living wall/vertical garden, or lots of natural light, help improve their employees’ productivity and well-being." 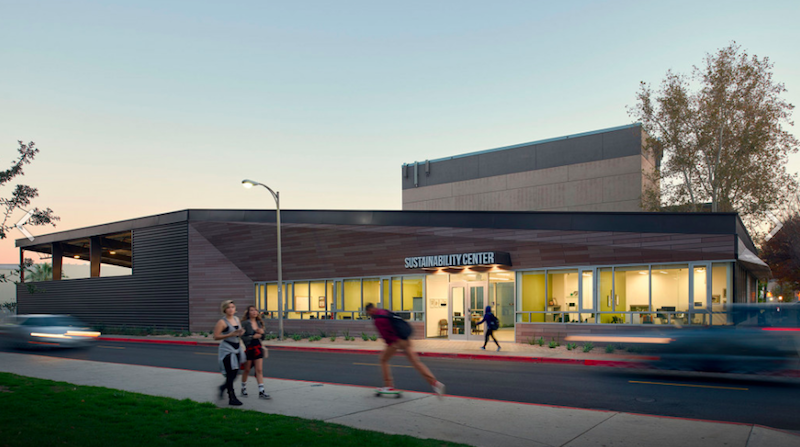 "We also see increased water and energy conservation efforts, such as utilizing solar panels to bring the building into energy balance (the building producing energy as much as it consumes)," Ruiz continues of sustainability practices. "There’s also a growth in using furnishings made from recycled materials, both from a designer’s and supplier’s standpoint. At a local level, some communities are deeply interested in reclaimed products and materials, especially where the products carry a rich heritage and connection to history. These efforts allow the owner to tell exceptional stories that connect with the rich history of their communities. The interiors of the CSUN Sustainability Center were designed and furnished using repurposed furniture, which further speaks to the university’s ongoing commitment to the environment." Though we're trending to greener design across the board, there are always outliers. "There may still be reasons for clients to not completely pursue green design, like the higher short-term cost associated with implementing energy efficient strategies," Ruiz remarks. "When a building is considered sustainable, it usually means that it is high-performing—which translates to cost. While investing in energy-reducing strategies, like utilizing photovoltaics to convert solar energy, pay off in the long-term, there are costs to implementing sustainable design. However, with CALGreen being mandatory, along with potential funding for green incentives, there are programs to help businesses [with the cost] and encourage sustainable design and practices." 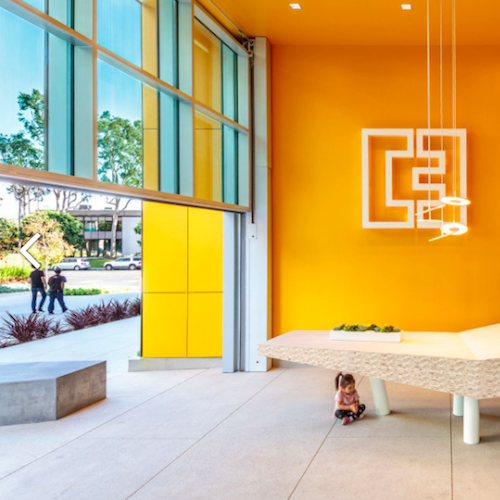 Looking to local design for examples of sustainability, Gensler's C3 in Culver City is a good place to start. "The design of C3 takes into consideration occupant well-being: exposed infrastructure invites opportunities for creativity and community as the building extends to the outdoors, while its continuous balconies reduce solar heat gain and achieve higher energy performance," Ruiz says. 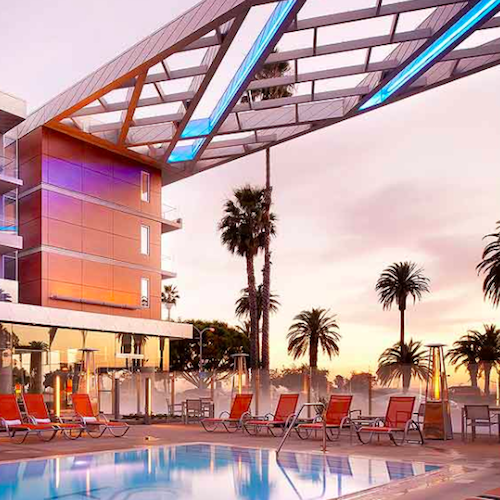 The Gensler-designed Shore Hotel is also a favorite of hers as its the first LEED Gold-Certified hotel in the city, as well as The Broad, which according to her, "implements comprehensive sustainable design strategies to support the environmental control of the galleries." "Although not located in LA, I really liked the Etsy headquarters located in Brooklyn," she concludes. "The project received the Living Building Challenge (LBC) Petal Certification, which is the world’s most stringent sustainability certification program for the built environment. 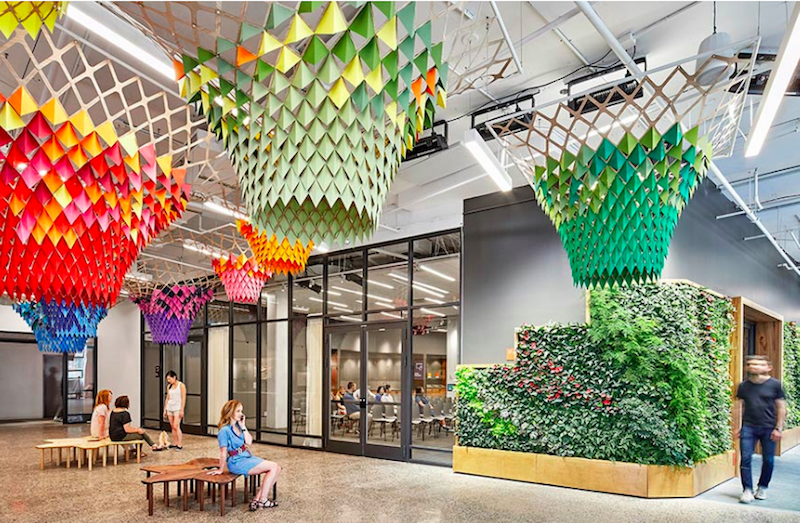 From its extensive interior greenery program, to highly efficient energy practices, the Etsy project is living proof that sustainable design equals beautiful design."